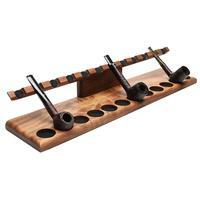 Much like his other designs, this Neal Yarm 12-pipe stand is fashioned solidly from quality hardwood, this particular one being from gorgeously grained mahogany. 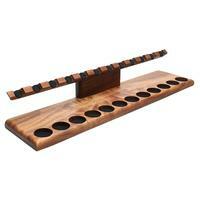 This rack allows your pipes to rest in a tilted, reclining position for easy accessibility and a refined presentation. 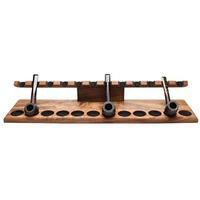 Each of the 12 evenly-spaced slots comes pre-lined with felt padding to prevent any scratching or marring of finishes.